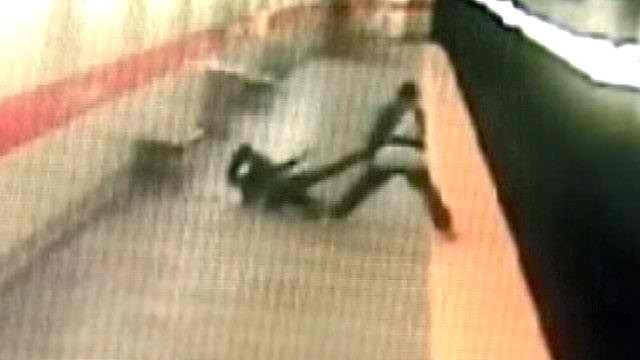 Philadelphia Philly subway CCTV caught a man attacking and dragging a woman onto subway tracks. Fortunately, the woman sustained only minor injuries and was able to escape safely before the train come. Philadelphia Police immediately identified the suspect and arrested William Clark for allegedly attacking the 23-year-old woman within 48 hours, after the incident. According to report by ABCnews, "Police plan to charge Clark, 36, with aggravated assault, leaving Alexis Wilson with minor injuries. " Police Chief Thomas Nestell said, "Thank God she wasn't knocked unconscious in that track area." The incident occurred when the suspect asked the woman for a lighter, which she gave to him. After a few seconds, the suspect grabbed the woman by the neck and repeatedly punched the woman in the face. Watch the whole story in the video below. Comments or suggestions about "WATCH: Woman dragged onto subway tracks in Philadelphia (Video)" is important to us, you may share it by using the comment box below.